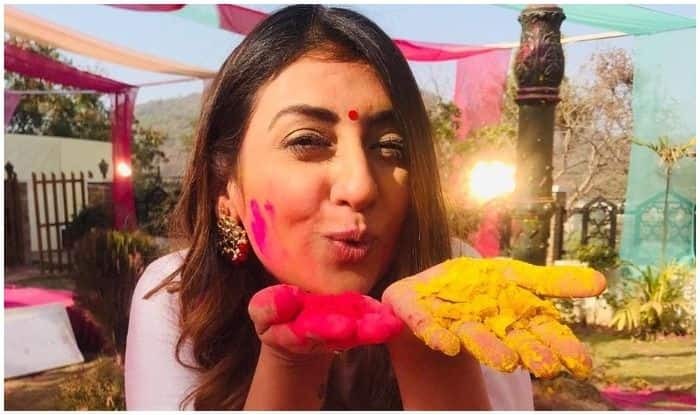 The festival of colours fills one’s life with happiness, a new ray of hope and bright hues but this Holi was almost a fatal one for Kumkum fame Juhi Parmar, who is a single mother to her 6-year-old daughter Samairra. While at her friend Aashka Goradia’s house on Holi, Juhi experienced nasal passage choking which she thought she would never survive. Her franticness made her ask her friend to take care of Samairra after she’s no more, reveals the letter. Falling sick at her friend’s place, Juhi threw up which, she told in the letter, came out of her nose and blocked her nasal passage leading to breathing problem. Coming to her rescue, Aashka rushd her to the hospital while Juhi pleaded with God in a critical state, to let her live for Samairaa’s sake. “I was at my best friend, Aashka Goradia’s house, from where I was rushed to the hospital around 10:30-11 pm at night. I couldn’t breathe but surprisingly all my parameters medically were fine- the oxygen, the carbon- dioxide, the ECG, the blood pressure etc, were all in place. However, I could feel myself choking and I felt that I wouldn’t be able to survive for another five minutes. I whispered to Aashka to take care of my daughter Samairra because I felt I wouldn’t survive,” the letter stated. Juhi added in the same, “In that moment I forgave everyone who had wronged me and held on to no grudges, to no negative feelings and just go because I didn’t want to carry this baggage!” (sic). Sharing the letter on her Instagram handle, after counting her blessings, Juhi captioned the post as, “Dear Life, I Am Here To Live!!! !” (sic). Juhi Parmar rose to fame with the daily soap Kumkum: Ek Pyara Sa Bandhan. The actress separated from actor-husband Sachin Shroff after eight years of marriage. Sachin and Juhi had applied for legal separation and the Bandra family court granted the two divorce on June 25, 2018. After Sachin and Juhi’s divorce, their daughter Samaira stayed with the television actress.